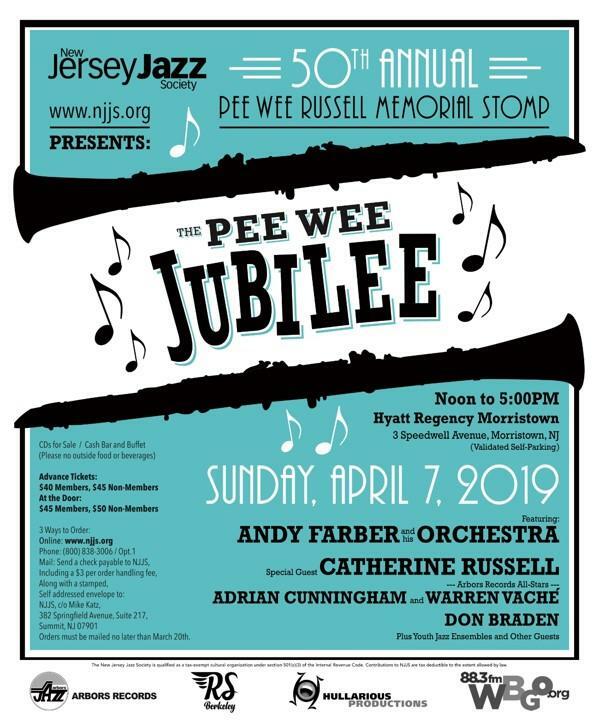 The New Jersey Jazz Society holds its 50th annual Pee Wee Russell Memorial Stomp concert on Sunday, April 7. The event, which features a great jazz lineup, runs from noon to 5pm at the Hyatt Regency in Morristown, New Jersey. NJJS President Cydney Halpin chats with WBGO Journal host Doug Doyle about this year's event that raises money for scholarships at Rutgers University, Montclair State University, New Jersey City University, Rowan University and William Paterson University. In 1968, NJ resident Jack Stine had an idea. One of his favorite musical performers, jazz clarinetist Pee Wee Russell, had died on February 15, and Stine wanted to honor him with a memorial concert. The first Pee Wee Russell Memorial Stomp was held that year, and two years later, Stine founded the New Jersey Jazz Society. Jack Stine, who also served as WBGO volunteer, died last June at the age of 96. Halpin says NJJS will have a lovely tribute to Stine. "It's bittersweet to be celebrating our 50th anniversary without him but I know that he is watching from afar and giving us a thumbs up that we are still honoring the Pee Wee Russell Stomp and the legacy and the joy that this 50 years of celebration has brought us to." Vocalist Roseanna Vitro, a resident of Warren, NJ, will be presented with this year's Distinguished Musician Award and WBGO will be honored as this year's Jazz Advocate. In referencing WBGO's 40th anniversary this month, Halpin says it's exciting to call attention to the radio station at the Stomp. "We are thrilled to have grown up together with you all and hope you have at least 140 more years to celebrate your birthday." Best known for playing in Dixieland bands, Pee Wee Russell was also considered the first post-swing era modern performer on clarinet. An example of his modernist playing was a 1960s Impulse album called Ask Me Now, recorded in a pianoless quartert with valve trombonist Marshall Brown. 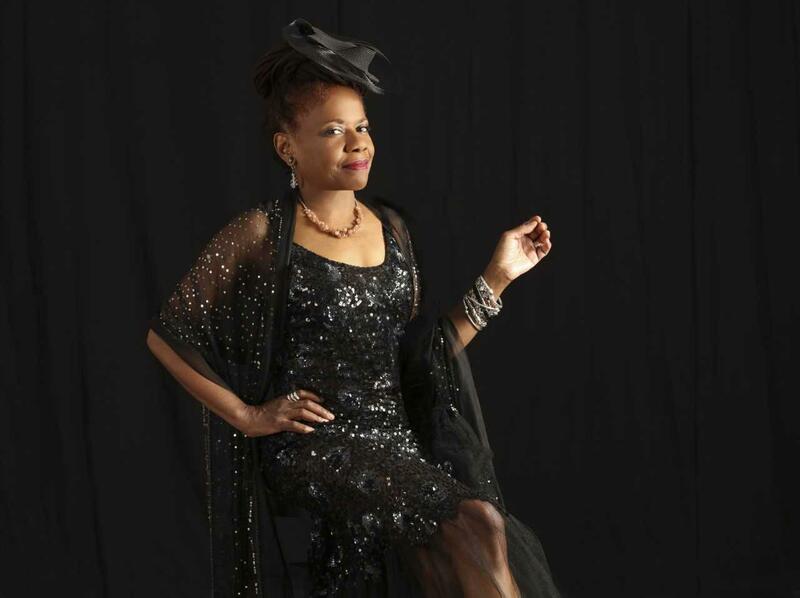 Pee Wee's legacy will be celebrated at this year’s Stomp with music by Andy Farber and his Orchestra featuring special guests, vocalist Catherine Russell, multi-reedist Adrian Cunningham, and trumpeter Warren Vache. A new feature of this year’s Stomp will be performances by the New Jersey Youth Symphony’s Jazz Orchestra conducted by Roselle Park alto saxophonist Julius Tolentino, who is director of the jazz program at Newark Academy in Livingston; and by players from the Montclair-based Jazz House Kids, led by NJJS Education Advisor Don Braden, a tenor saxophonist-flutist and resident of South Orange. If you would like more information about the Pee Wee Jubilee, you can visit www.njjs.org.